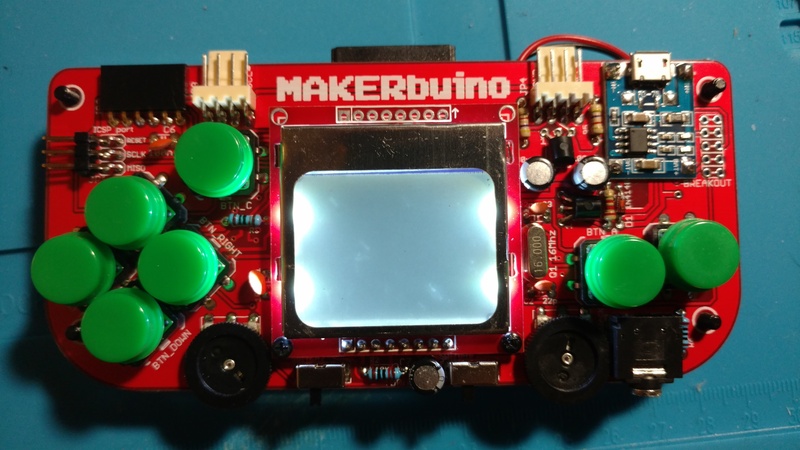 After finishing my Makerbuino yesterday I played games on it for a while last evening and this morning, but now when I try to turn it on I just get a blank white screen. The backlight and sound still work fine, so it seems OK otherwise. I attempted the C button reset several times. I hear the SD card loader menu come up after a few seconds, but there is still no display. I also attempted to reflow the solder points on the screen’s header pins, but still no luck. I will say that a few times when I turned it on yesterday and this morning I got a blank screen, but I was able to fix it with just a simple reset. Is it possible that the screen is defective? Also, are there any more troubleshooting steps I can try? 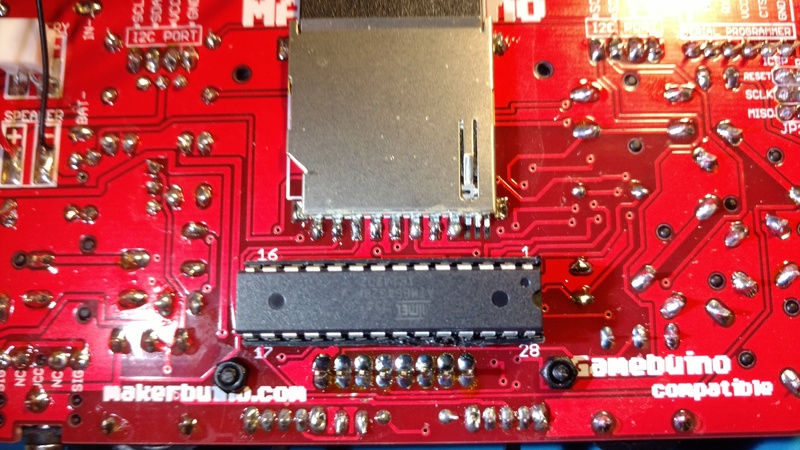 Thank you for supporting MAKERbuino and I am sorry for the problems that you’re experiencing. Unfortunately, this sounds like a defective screen. Please, send us your console via mail (only the main PCB is needed) and we’ll replace the screen as well as get the console delivered back to your address. I just got around to mailing it today. Thanks again!